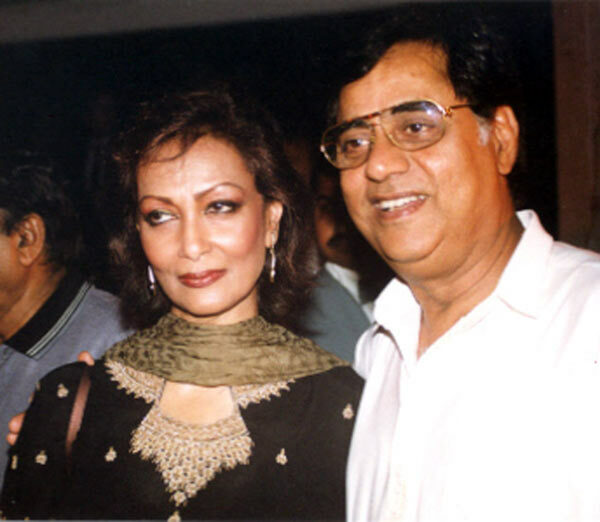 Two years since ghazal maestro Jagjit Singh passed away, his reclusive wife -- former singer Chitra Singh -- has ventured out in the world in a bid to keep her late husband's legacy alive. Things, however, are not as smooth as one would have hoped. "After Jagjitji left, my life was finished. I am just an empty shell now,” Chitra, who now leads a somewhat lonely and friendless life after his demise, confides. 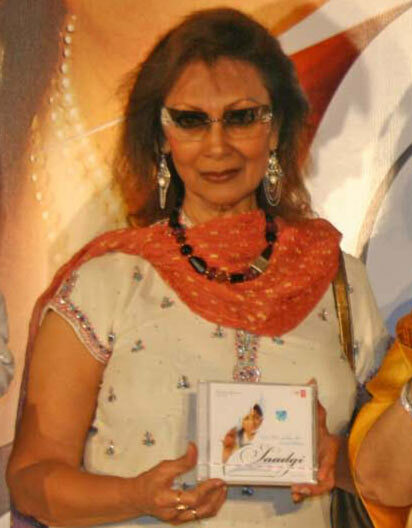 In this interview with Subhash K Jha, the former singer talks about her family, friends and plans for her Jagjit Singh foundation. I think younger generations respond to his music as enthusiastically as the previous generations. When we organised a concert in his memory on October 10, the Nehru auditorium (in Mumbai) was overflowing with young people. There were people standing and watching. Many had to be turned away. 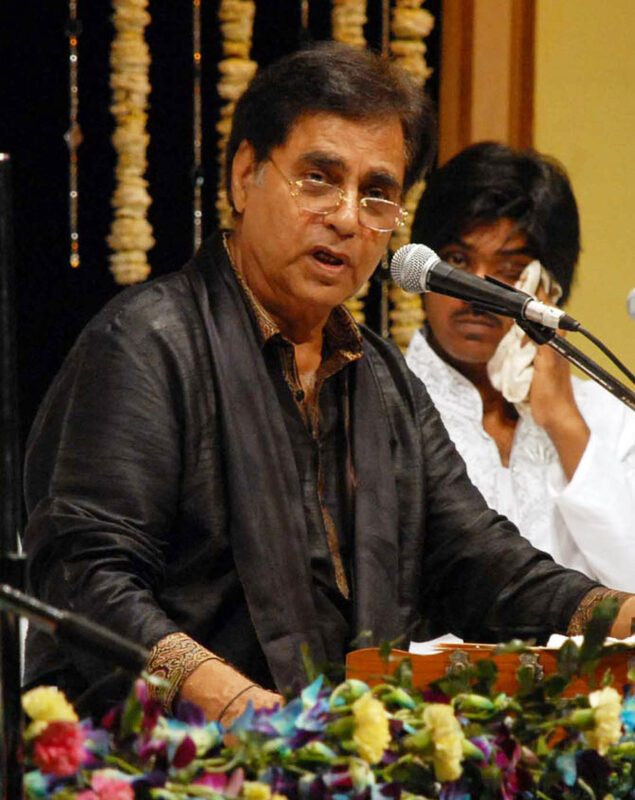 Jagjitji always had a huge range of listeners, from two-somethings to 82-year-olds. I am very optimistic about Jagjitsaab’s music carrying on. He is the only contemporary musician who has kept pure music alive. That cannot die. 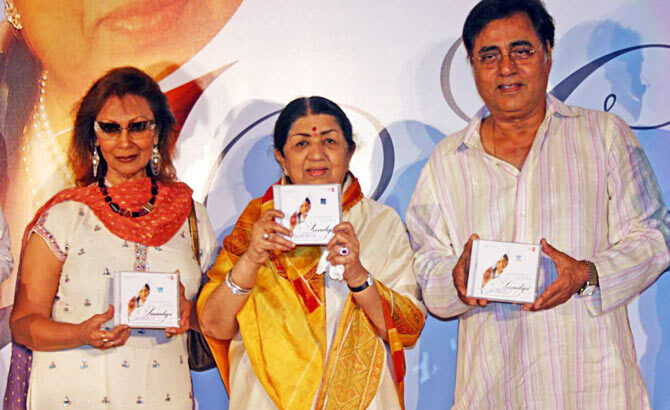 Do you see the spark in any other singer to carry Jagjit Singh’s legacy forward? I haven’t heard it in anyone else but I am sure there is someone who comes close to his standard of excellence. It doesn't have to be purely in his style. But it could be in the same league of excellence. 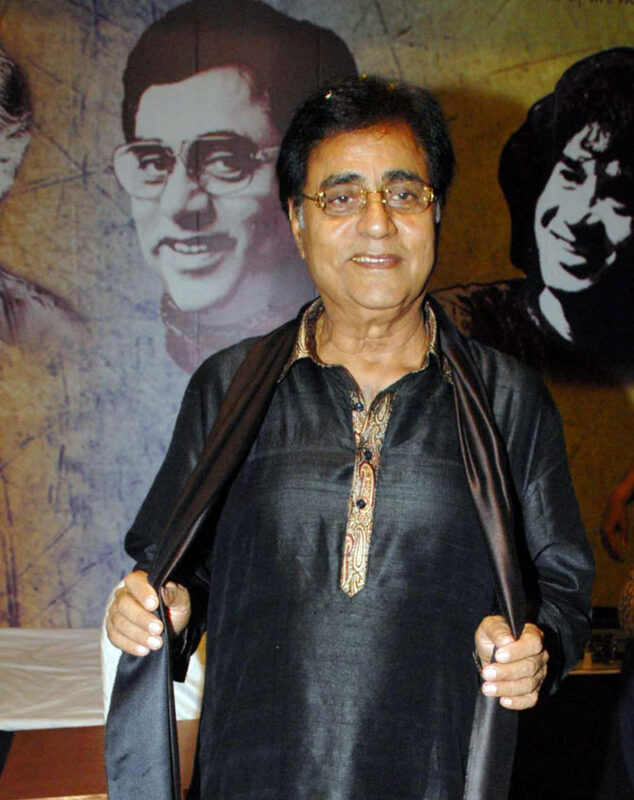 Jagjitji’s excellence as a musician had a lot to do with the kind of person he was. He wasn't just a one-man musical institution. He was also an exceptional human being. The music came from his soul. And that voice... it’s like a call from divinity. To have that again is a tall order. You stopped singing after your son’s death. Did you never contemplate a comeback? Some people have put that idea in my head. But all said and done, I haven’t sung in 33 years. The riyaaz, the discipline, the hours that need to be put in... woh sab mere paas nahin hai (I don’t have all that). The voice is a very delicate mechanism. After what I went through, my life changed completely. I can’t even dream of singing today. I’ve suffered one tragedy after another. Everything that was precious was snatched away from me. I am just an empty shell walking around. I am going through all the motions of living. But there is no soul left in me. Even then, in spite of tragedies (loss of her son and then her daughter’s suicide) I was somehow coping. Life went on because Jagjitji was with me. But then after he left, life is finished. Do you stay alone now? Jagjitji and I lived at Breach Candy (in south Mumbai) for 42 years. When my daughter passed away, we moved to Bandra (in the western suburb of Mumbai) to be with our two grandchildren whom my daughter left behind. After Jagjitji passed away, I felt a tremendous pull back to Breach Candy. So I went back. And you live there now? No. I couldn't stay there without Jagjitji. Our Breach Candy home was purposely secluded from all traffic. Now with him gone, it has become like a tomb. All the energy is gone. I was commuting between Breach Candy and Bandra every day. I would sleep in Breach Candy and my grandchildren pulled me back to Bandra in the morning. I couldn't keep up with this routine. So I have shifted back to Bandra. I live with my son-in-law and grandchildren. Your grandchildren must bring you solace. They don’t sit with me holding my hand. But their presence is invaluable. I know mere liye koi hai (there is someone for me). How do you find the strength to go on? I really don’t know. I have been blessed with inner strength that helps me to carry on. Also, I know that I have the mission of carrying Jagjitji’s legacy forward. As long as I am on this earth I’ll continue doing so. In the two years since his death I've done nothing yet. There is so much more to do. He had a dream which I am trying to fulfill. He wanted to start a music academy where talented youngsters could be trained as future stalwarts. His dream didn't materialise in his lifetime. I want to make sure it happens in my lifetime. His legacy is awesome. There is also a foundation in his name which takes care of the needy, medically and in any other way possible. There’s a lot of work to be done. I don’t know how much of it I can carry out. Have Jagjitsaab's friends come forward in support? (Hesitates) Well, so far not too many have come forward. To comment on this would not be gracious. I am hoping more and more people will join hands with me. Maybe the love they had for him went away with him. Nahin, nahin unke liye pyar hai (No, no, they still love him). When we had a programme in his memory on his second death anniversary, the response was overwhelming. I don’t think any other artiste in any part of the world enjoys this kind of love and adulation after his death. It’s mind-blowing. But then that’s the love of the general masses. As far as joining hands with me to carry his legacy forward is concerned, I haven’t seen the same support coming. Do you find yourself isolated in your endeavour to carry his name forward? For 42 years, I was sheltered and protected from the outside world by my husband. I wasn’t in touch with the music industry, market trends... nothing! Now I think some of Jagjitji’s friends are apprehensive about communicating with me. I’ve always had the reputation of being a very private person. They hesitate to come to me. Jagjitji’s friends have either not known me or those who know me have not taken kindly to me. Maybe they think I am hoity-toity. I hope slowly this impression wears off and people who loved him will come forward to help me carry his legacy forward. What advice do you give to those who have to cope with an avalanche of adversities? I don’t know if I am equipped to give advice. But my way of coping was to do what came honestly to me. I am answerable only to myself. I don’t believe in oopar jaake hisaab dena padega. Saara hisaab idhar hi hai. 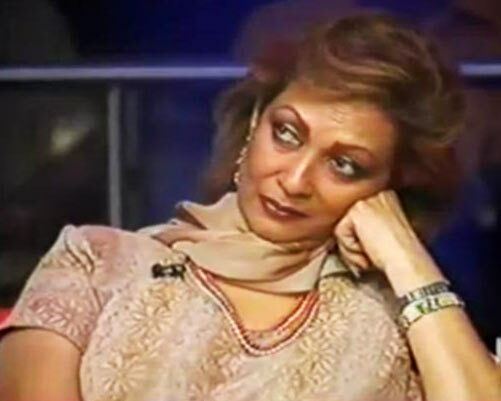 Baqi logon ko hisaab do na na do. (I don’t believe you have to give an account of your life after your death; you have to account for it here). You have to look straight into your own eyes. And that’s why I will never return to singing. The opinion of others is secondary. I have to feel I am as equipped to sing now as I was when I quit. And I know that isn’t possible. Life for me has taken an about-turn.